In aerospace, the single particle soft errors are more and more frequently reported in DSP and the other memory devices, which seriously impact on the system running safely and reliably. Aiming at the soft error occurred in DSP program storage areas, this paper presents an integrality-check- ing-based control-flow error recovery method, which can rapidly recovery a control-flow error after checking it by a little improvement of setting a recovery pointer and a recovery memory on the integrality-checking-based control-flow check method. The proposed method has an important guiding significance to the design and development of DSP. Saha, G.K. (2006) Software based fault tolerance: A survey. ACM Ubiquity, 2006, Article No. 1. Reis, G.A., Chang, J., Vachharajani, N., et al. (2005) Software controlled fault tolerance. ACM Transactions on Architecture and Code Optimization, V, 1-28. 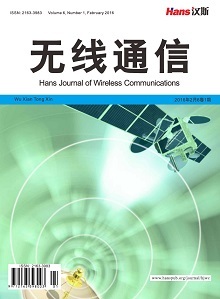 刑克飞 (2007) 星载信号处理平台单粒子效应检测与加固技术研究. 工学博士学位论文, 国防科技大学, 长沙. 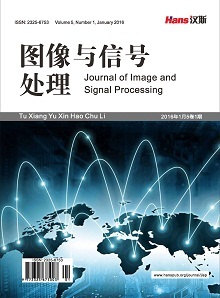 贺兴华, 肖山竹, 张路, 张开锋, 陶华敏, 卢焕章 (2010) 空间DSP信息处理系统存储器SEU加固技术研究. 宇航学报, 2, 472-477. Goloubeva, O. and Rebaudengo, M. (2003) Soft-error detection using control flow assertions. The proceedings of the 18th IEEE International Symposium on Defect and Fault Tolerance in VLSI Systems (DFT’03), Boston, 3-5 November 2003, 581-588. Saxena, N.R. and McCluskey, E.J. (1990) Control-flow checking using watchdog assists and ex-tended-precision checksums. IEEE Transactions on Computers, 39, 554-559. Alkhalifa, Z., Nair, V.S.S., Krish-namurthy, N., et al. (1999) Design and evaluation of system-level checks for on-line control-flow error detection. IEEE Transactions on Parallel and Distributed Systems, 10, 627-641. Oh, N., Shirvani, P.P. and McCluskey, E.J. (2002) Control-flow checking by software signatures. IEEE Transactions on Reliability, 51, 111-122. Jafari-Nodoushan, M. (2008) Control-flow checking using branch instructions. IEEE/IFIP International Conference on Embedded and Ubiquitous Computing, Shanghai, 17-20 December 2008, 66-72. Borin, E., Wang, C., Wu, Y.F., et al. 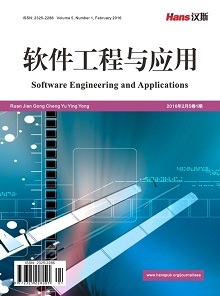 (2006) Software-based transparent and comprehensive control-flow error detection. The Proceedings of the International Symposium on Code Generation and Optimization (CGO), New York, 26-29 March 2006, 333-345. Chen, Y.-Y. (2005) Concurrent detection of control flow errors by hybrid signature monitoring. IEEE Transactions on Computer, 10, 1298-1313. Vemu, R., Gurumurthy, S. and Abraham, J.A. (2007) ACCE: Automatic correction of control-flow errors. The Processing of 4th International Symposium on Test, Santa Clara, 21-26 October 2007, 1-10. 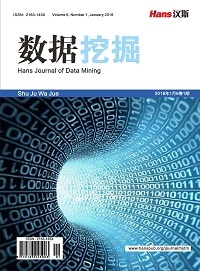 Tan, L.F., Tan, Y. and Xu, J.J. (2013) CFEDR: Control-flow error detection and recovery using encoded signatures monitoring. IEEE International Symposium on Defect and Fault Tolerance in VLSI and Nanotechnology Systems (DFTS), New York City, 2-4 October 2013, 25-32. 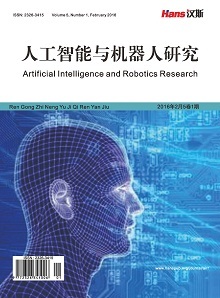 谭兰芳 (2013) 面向软错误的故障恢复和验证技术研究. 工学博士论文, 国防科技大学, 长沙. Zarandi, H.R., Maghsoudloo, M. and Khoshavi, N. (2010) Two efficient software techniques to detect and correct control-flow Errors. 2010 IEEE 16th Pacific Rim International Symposium on Dependable Computing (PRDC), Tokyo, 13-15 December 2010, 141-148.